SAN DIEGO (Scrap Monster): Turlock-based Peninsula Plastics Recycling , Inc. has received $1 Million as competitive grant from CalRecycle California’s Recycled Fiber, Plastic and Grant Program. The company will utilize the grant to recover 45% of its recycling by-product and recycle them into new landscaping material. According to Caroll Mortensen, Director, CalRecycle, the grants will help companies to support their capital investment initiatives in order to divert more materials from landfills by promoting composting, recycling and waste prevention. Such advancements will also support clean environment initiatives by helping to reduce greenhouse gas emissions. The program has earmarked $19.5 million to be distributed top companies towards construction of new facilities, expansion and equipment upgrades at existing facilities. 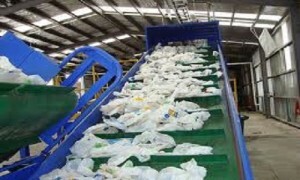 Peninsula Plastics Recycling is a 180,000 square foot recycling plant located in Turlock, California. It is a full service PET plastic recycler and processor in California’s Central Valley and the only merchant processor of PET materials in the state of California. Peninsula Plastics Recycling utilizes proprietary technology developed by its sister company, Merlin Plastics Alberta, to sort, whole bottle wash, and grind recycle PET materials. The company also has the capability to melt-filter, pelletize, and crystallize recycled post-consumer PET flake for direct sale and reuse back into consumer packaging applications. The annual production capacity of the company exceeds 50 million pounds. California’s Department of Resources Recycling and Recovery (CalRecycle) brings together the state’s recycling and waste management programs in inspiring Californians to achieve the highest waste reduction, recycling and reuse goals in the nation.